Technology is evolving at a very fast pace. Every day there are new trends making way and stakeholders have to keep up with the competition. Your business website is one such mediums which needs utmost attention. The elements that you have used during your inception, eventually become a passé! With time, your business website needs to evolve. Go for website audit and review to assess if your website is still performing effectively. 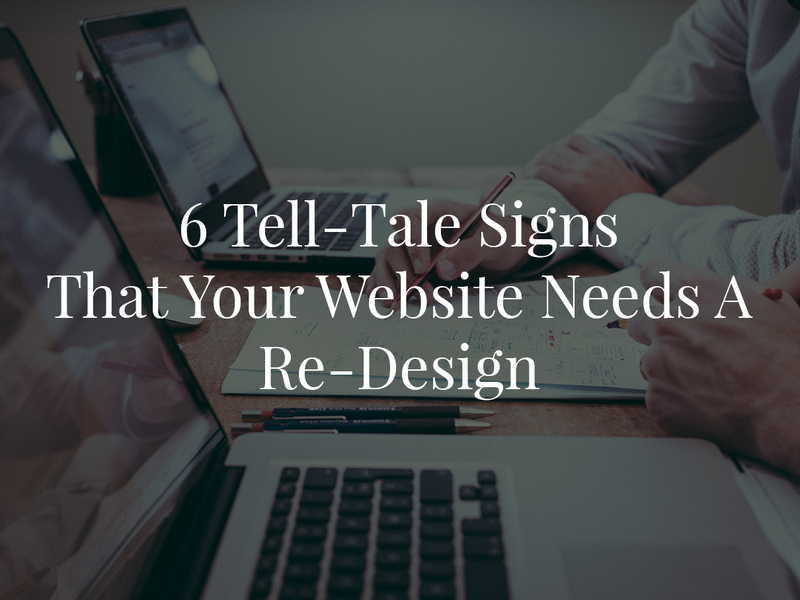 Here’s a quick checklist which will help you in deciding if your website needs a re-design. Watch out for the following signs that will urge you to go for it! Everyone knows that mobile is the biggest medium to access the internet! So, is your website visible on mobile phones? No? Then your website definitely needs redesigning. Mobile responsive websites have become a new trend in the last couple of years. Gone are the days when website was designed only for laptops and desktops. So, if you are not aware of mobile responsive website, then get hold of a good web designer and get your website re-designed at the earliest. Is Your Website Taking A Long Time To Load? People are in a hurry to dig into information and if your website is taking a very long time, then be ready to bid adieu to your visitors. More the loading time, more people will bail out from your website! Several internet service providers and mobile carriers have limitations on data consumption. Moreover, if your website has huge images to download in return of their data, then they will definitely choose to go for data saving. So, why put them in a limbo? Instead, think of re-design and get the sound foundation for your website in place. When was your Website Updated? Is your website updated to use the latest technology? If the answer is a big No, then you have to take steps to update your website. Moreover, if you don’t know how to update your website then you definitely need a seasoned developer to help you out. To simplify your tasks, ask your website developer to install a good content management system (CMS) like WordPress. A CMS is easy to manage and update and to keep up with the latest advancements. And it’s cost effective too! Using Flash on websites was the biggest trend like a decade ago! However, your visitors won’t give a ‘thumbs up’ now in this era. Every person is in a hurry to browse for information and if the website becomes too tacky, then he/she will find another source. Moreover, using flash increases your loading time too and you know what happens when the page doesn’t load! Your visitors just bid goodbye to your website! Aren’t your visitors, visiting past your home page? Aren’t they interested in coming back to your website? If such a situation continues, then it’s worrisome because visitors aren’t finding your website useful. Either, there is a problem with your design or content! Moreover, if you are not getting good ranking on search engines, then there is a problem with your SEO too! The answer to this problem is – redesigning! You need a website with design that offers great user experience, information architecture that provides valuable content and top notch SEO for better ranks. Is Your Website Giving Errors? Is your website giving error messages like – ‘Page Not Found’? It could be a matter of few minutes to handle such issues, but it creates a wrong impression on your visitors. This highlights negatively that your website is dis-organized and needs attention from developers! If you are encountering broken images, broken links on a daily basis, then you definitely need to re-design your website. These are some of the problems that indicate that you either need to fix your site or go for a redesign. However, it is ultimately your decision to revamp the site or to go with the existing website. If you make up your mind for revamp, then get in touch with a good developer who will guide you through the process. After all, they are the experts who will lead you for best results.